Tutubi was able to visit Palawan two times, the first was the memorable trip to Coron, and the second is the disastrous trip that resulted to tragedy. This time he's going back on a personal trip to the island to visit his "old friend" as well as complete his unfinished tour to Palawan. 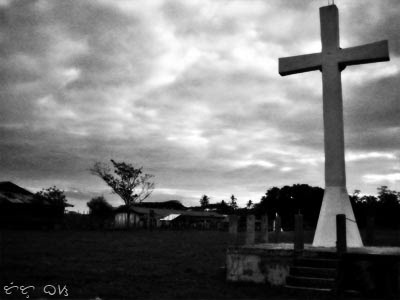 The large cross of Iwahig Penal Colony near the maximum security prison compound (a rather crude B&W attempt Photoshop (Canon Ixus 30)). So what's this post for? It's just a list of possible interesting places in Palawan, tourist spots usually, that Tutubi might visit if he has the time or can afford it. Tutubi, on adventure mode, wants to eat the wood worm, known locally as tamilok, when he get there. If you have suggestions on places to visit, please do leave a comment. Tutubi may not be able to visit them now but probably in future visits to the beautiful and peaceful island province. hi tutubi! i've been visiting your blog ever since i started blogging. di ko mapigilan mag-comment dito kasi tungkol sa palawan (tumira kasi ako dun) at im a bit sad sa nangyari sa friend mo. anyway, you may want to add "balinsasayaw restaurant" in puerto, they serve balinsasayaw soup (bird's nest) and the best dessert- ice cream in a coconut shell topped with cashew nuts. Hi. Can you please check if this ad is for real or not? We live outside the Phils and there's no way for us to verify if tours are what they say they are. 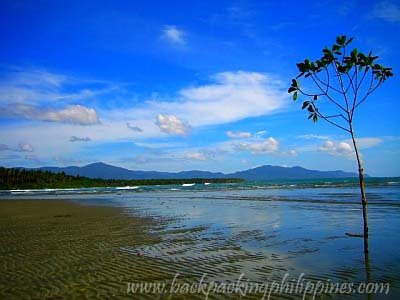 Hubby & I plan to visit Pinas in Nov/11. Thanks for your help!.